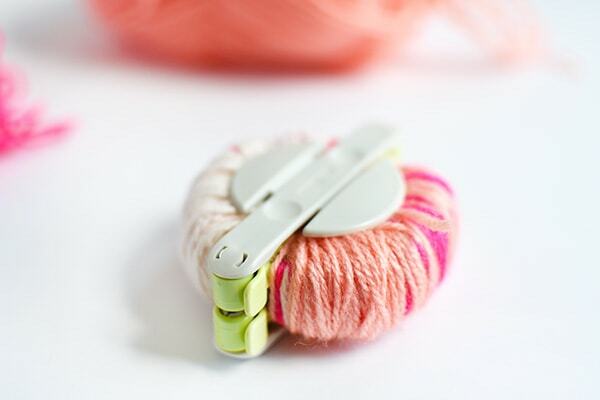 What do you do when you have an ample stash of yarn, gorgeously colored leathers and a pom pom maker? 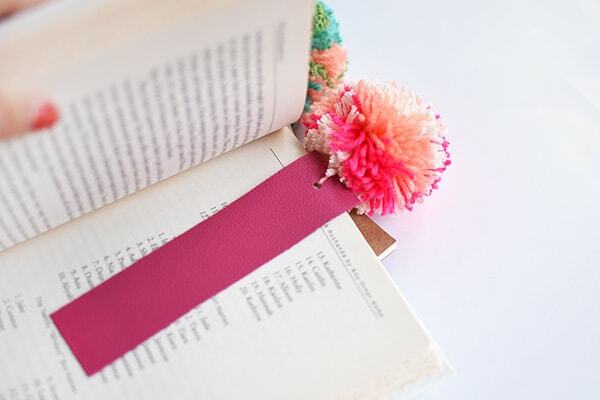 You make Leather Pom Pom Bookmarks, of course! 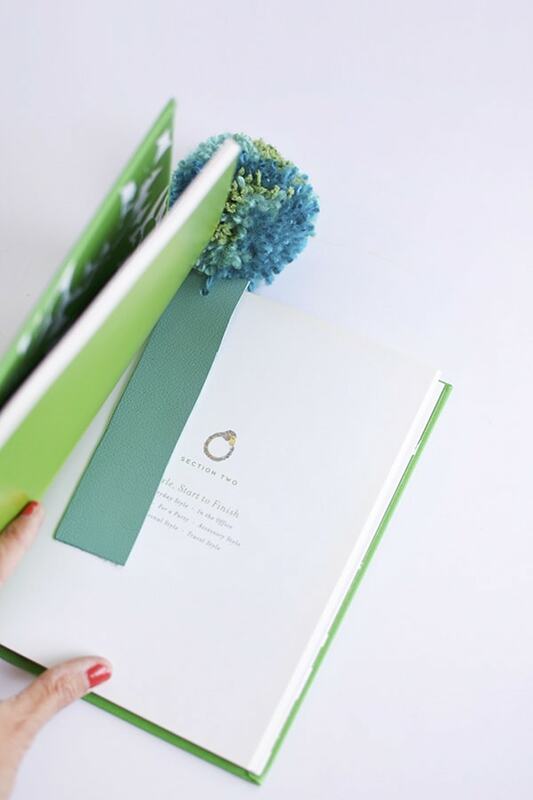 Today I am thrilled to share with you all, this fun and simple DIY that you can make in under an hour. Yes, I timed it. 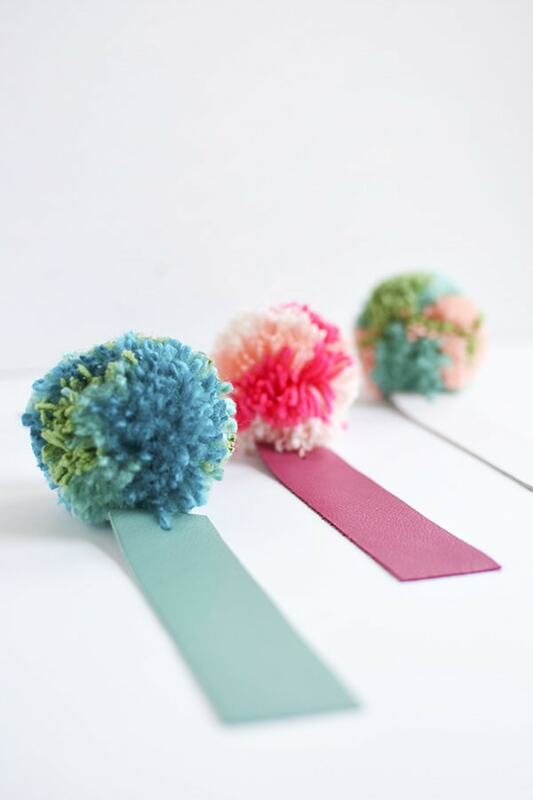 What supplies are needed to make Leather Pom Pom Bookmarks? OH! I love my pom pom maker. 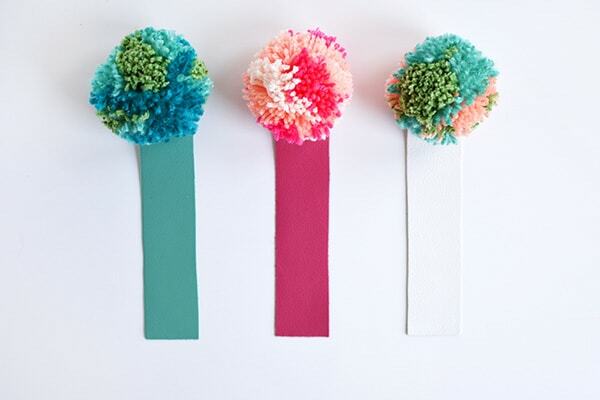 I know there are a handful of very simple pom pom making techniques using a piece of cardboard or maybe a fork. 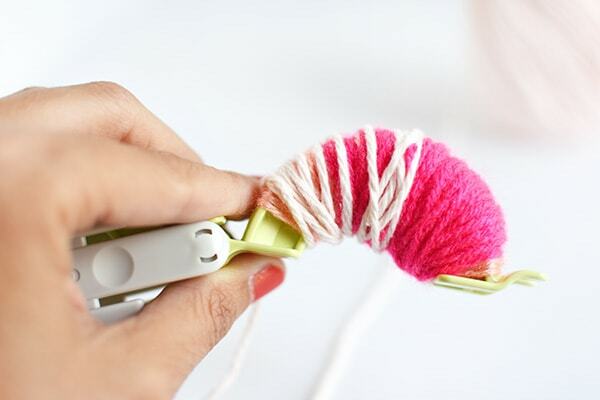 And those are great ways, but once you’ve zipped through making a pom pom with an actual pom pom maker, you just don’t realize how simple it really can be. 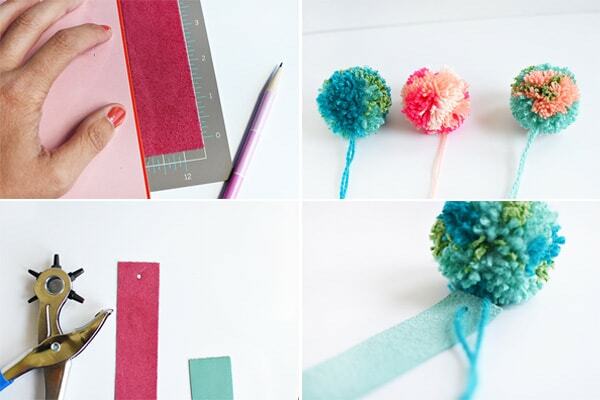 You can find the simple directions for making a pom pom here. 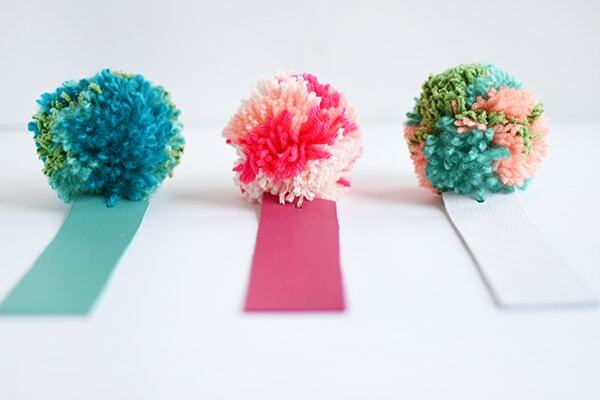 Once you have your pom poms made, it’s time for the next step! 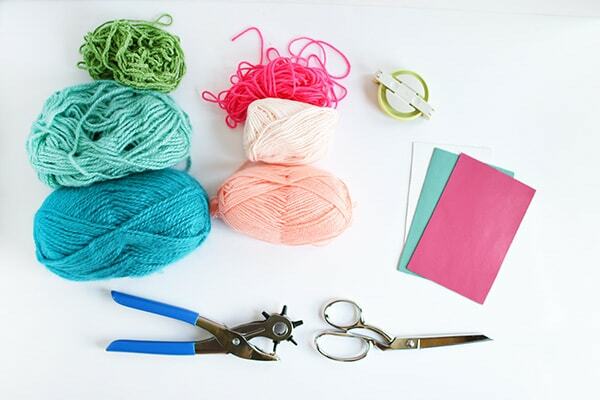 Note : I wrapped multiple colors of yarn on each pom pom to create a fun patterned look. Next, I measured and marked my leather at 1.5″. I like that my bookmarks are more narrow than wide. I used a bright pink, white and teal color leather. Then, using my Rotary Hole punch, I punched a simple hole in my leather for stringing the pom pom through. 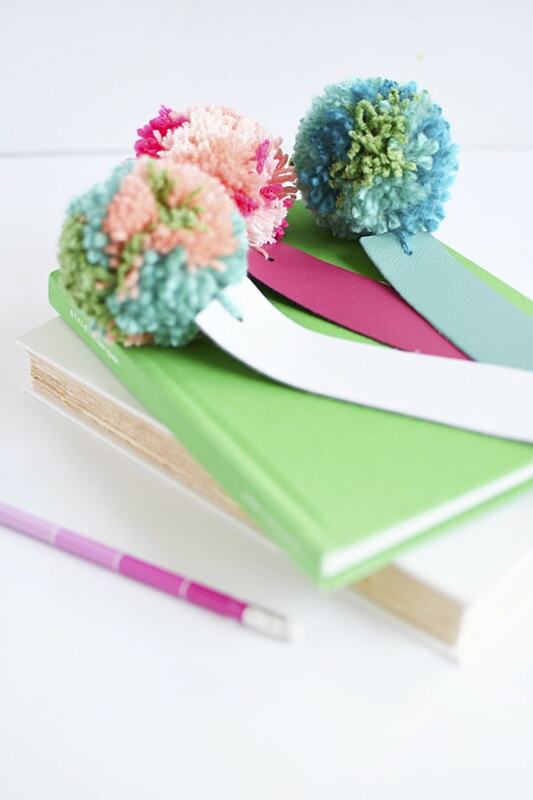 The end result were these simple but gorgeous pom pom leather bookmarks! 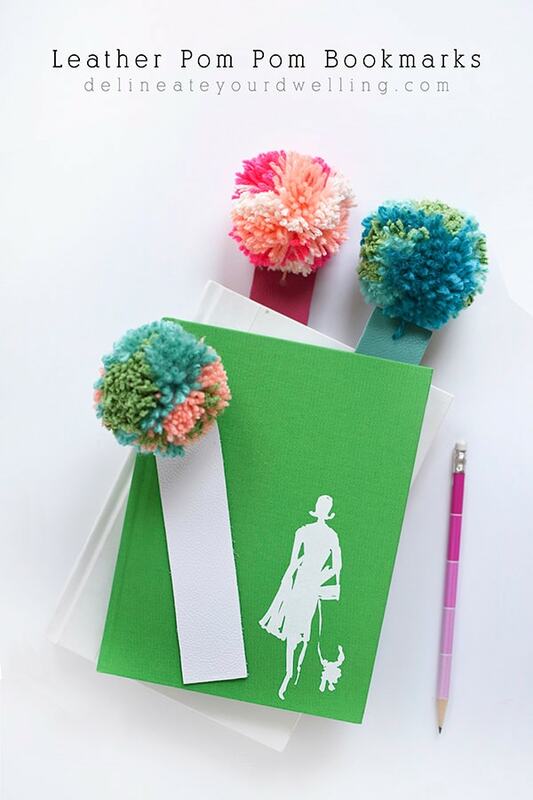 I loved how big the pom poms were in proportion to the leather bookmark. I loved how dramatic they are popping out of the tops of our books! And the leather I found from Etsy is so very soft, so I find myself just holding the bookmark while I read. 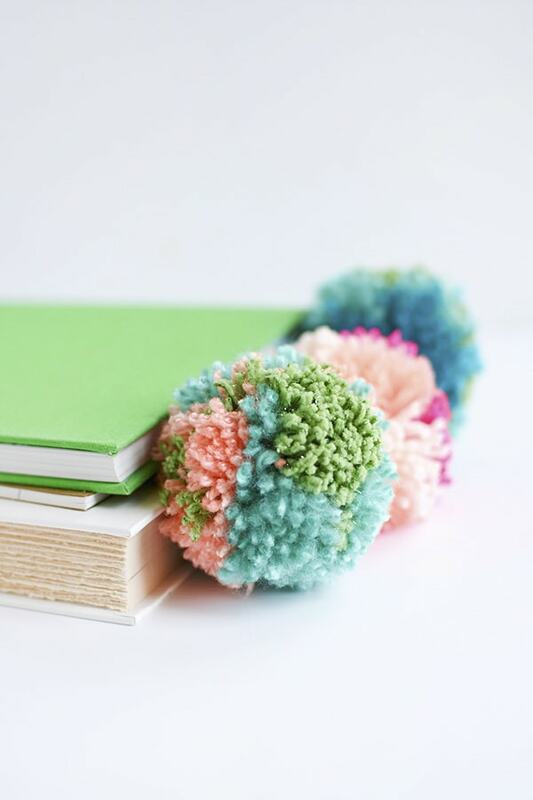 Interested in other pom pom projects? I’ve got you covered, here. Want to be my instagram friends? I would love to be yours! Since it now is Sept. 6, 2017, I really would rather have a 2018 calendar! Do like your ideas and suggestions and will use them.